Explanation: The central bulge of our Milky Way Galaxy rises above a sea of clouds in this ethereal scene. 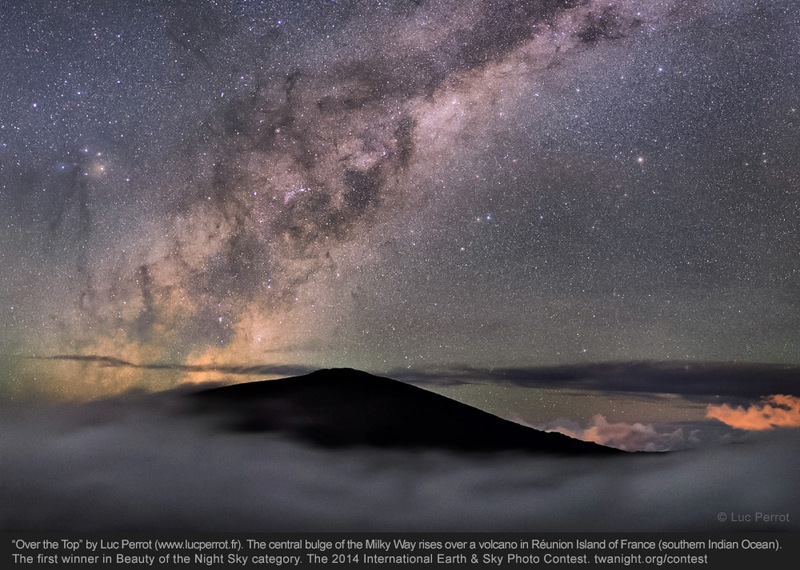 An echo of the Milky Way's dark dust lanes, the volcanic peak in foreground silhouette is on France's Réunion Island in the southern Indian Ocean. 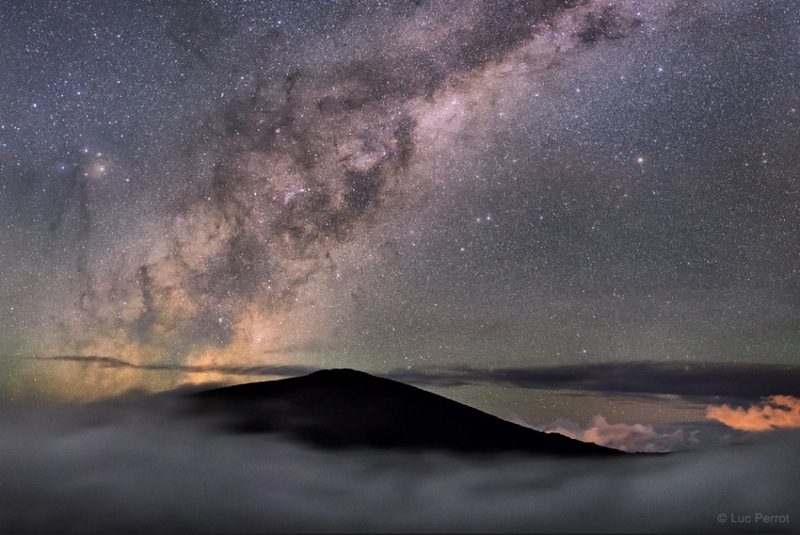 Taken in February, the photograph was voted the winner of the 2014 International Earth and Sky Photo Contest's Beauty of the Night Sky Category. This and other winning and notable images from the contest were selected from over a thousand entries from 55 countries around planet Earth. Also featured in the contest compilation video (vimeo), the moving images are a testament to the importance and beauty of our world at night.